Forget trawling eBay or craigslist for Google Glass -- your best bet is to pal up with someone who already owns one. 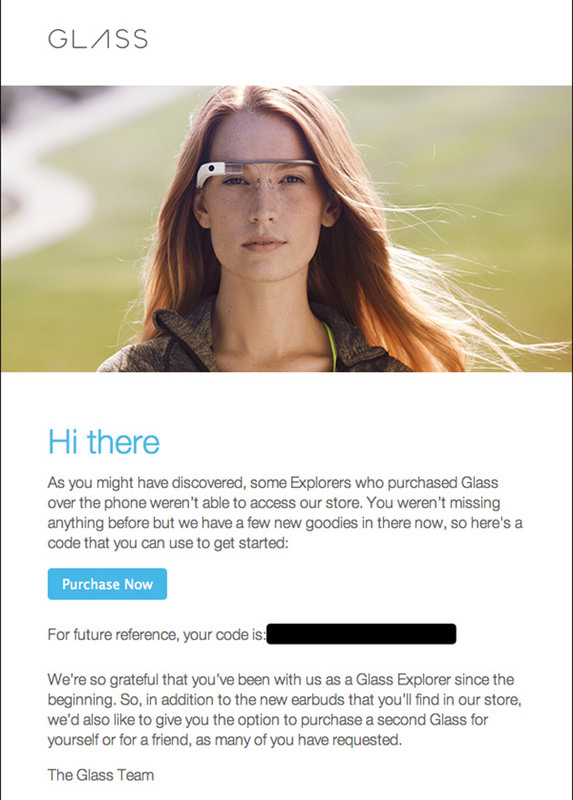 Select Explorers who couldn't access the Glass accessory shop have received an email from the search giant with a fix in tow and the opportunity to purchase a second device for themselves or a friend, Glass Almanac reports. It's not clear if the firm's other beta testers will get the same deal, as we couldn't access the store ourselves, despite being able to previously. While each of Google's guinea pigs received three invites to hand out last month, this gives them a chance to spread the love even further. Of course, this new eyewear doesn't come magically infused with purpose-built apps -- you'll have to endure the same limitations current Explorers do until the SDK comes out and developers can go to town.